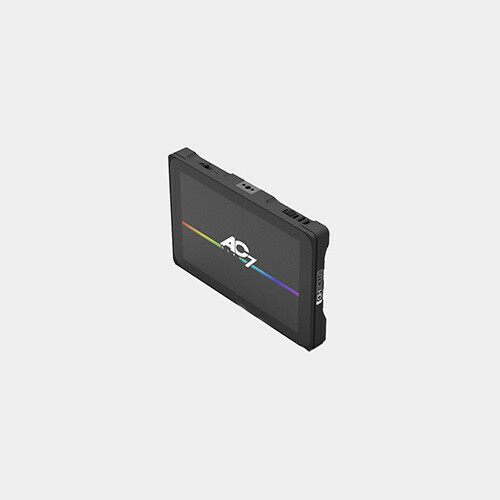 A compact field monitor, the AC7 OLED SDI is equiped with pro software featuring Focus Assist Plus, False Color, and DSLR Scale Mode. 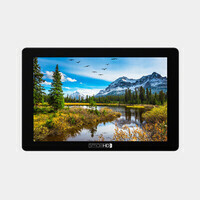 Housed in a strong frame, the 7.7” monitor has a resolution of 1280x800. 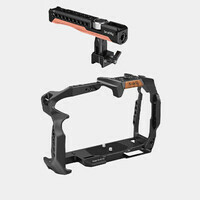 This monitor is compatible with most cameras: HDMI, Component, Composite and SDI inputs answer the call of compatibility; GoPros, DSLRs, ENG Cameras, large sensor camcorders, RED, Alexa and nearly anything in between. Using passthru, the AC7 shares the source signal with another monitor or device without using any other piece of equipment. The unit can be powered by the included AC adapter, or by two LP-E6 batteries (also included). The batteries can be hot-swapped so there is no need for any down time.